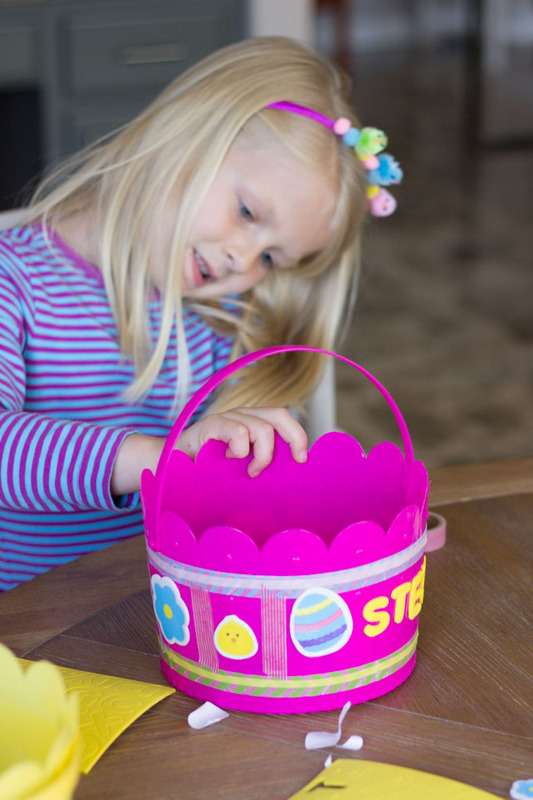 Simple Kids Craft: DIY Easter Baskets! 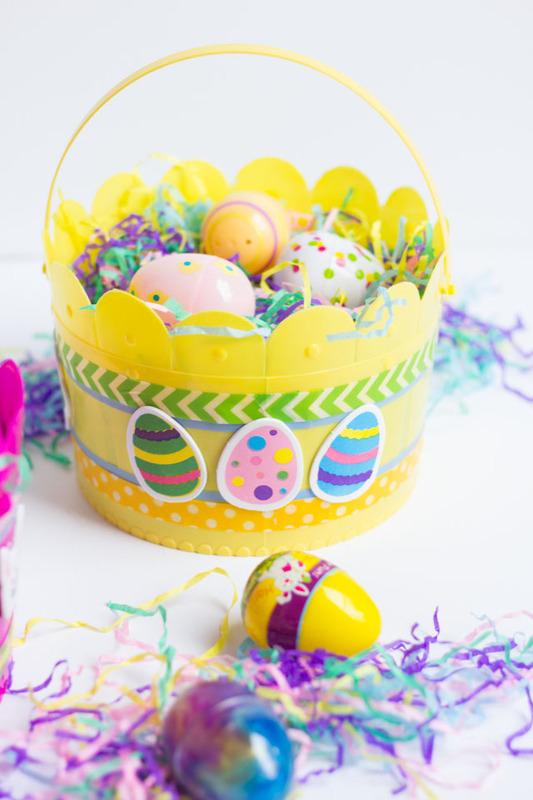 This year instead of heading to the store for an Easter basket, let the kids decorate their own with some fun supplies from Oriental Trading! 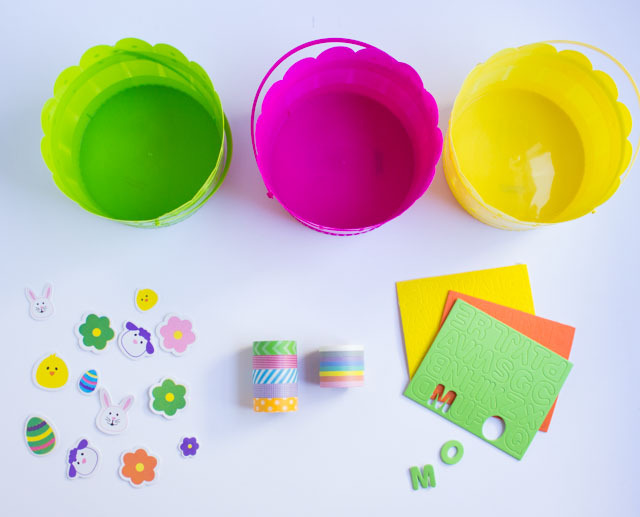 All they need are some colorful buckets, Easter stickers, and washi tape. No cutting or gluing required. This would be the perfect kids craft idea for an Easter party or egg hunt! 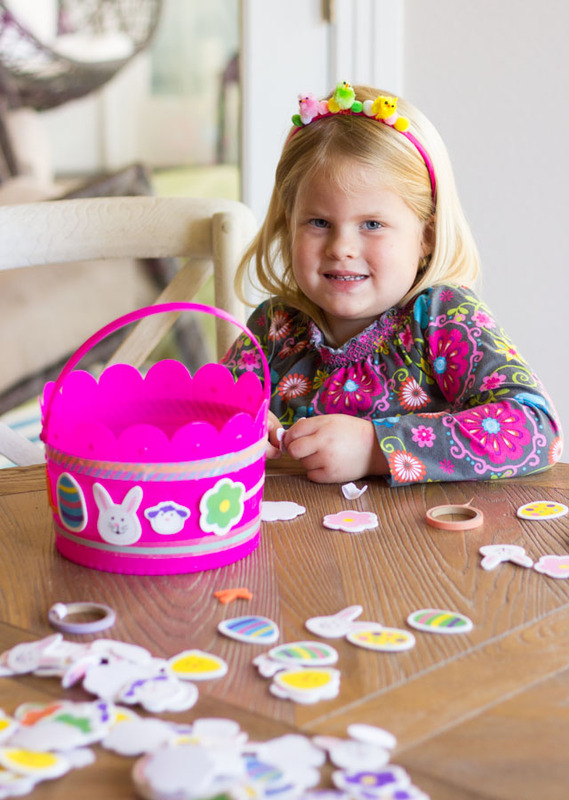 These colorful foam Easter stickers are perfect for decorating the baskets and come in a variety of cute Easter shapes from eggs, to bunnies, to flowers. 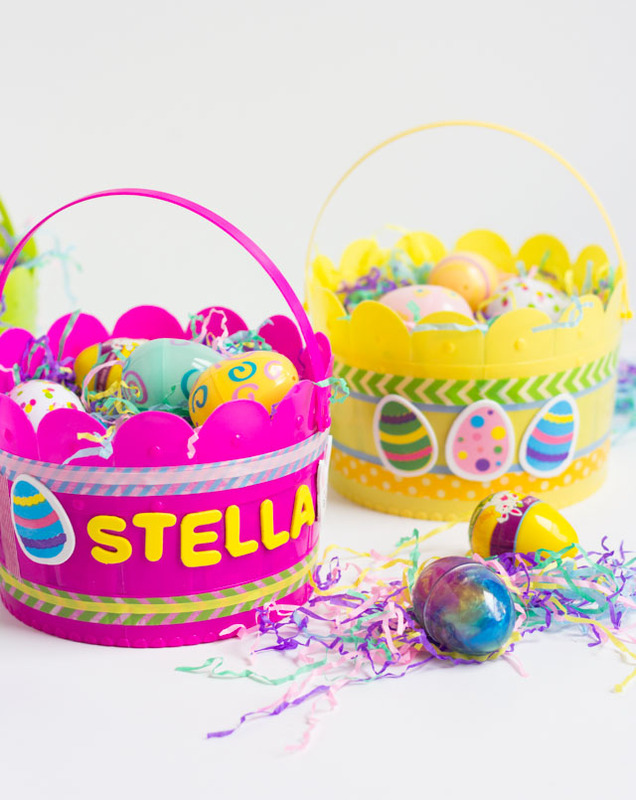 Stella and Hazel loved decorating their own baskets and wanted to do it all on their own – no help from me! I thought they turned out so great! By the way, have you seen my tutorial for these cute baby chick headbands they are wearing? They love these! 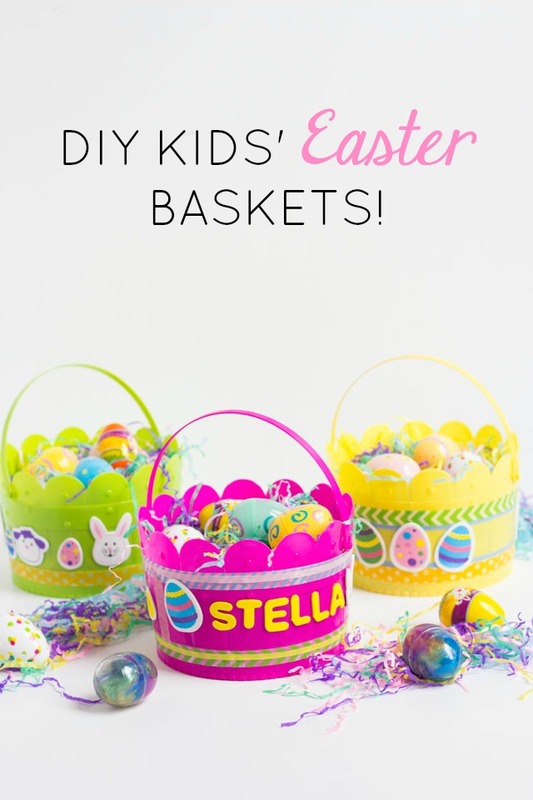 All it takes are a few inexpensive supplies to make these colorful baskets that will be so much more special than the store-bought version. Head to Oriental Trading for links to all the supplies and the step-by-step tutorial!